La Suite West 4* is a strikingly minimalist boutique property, decorated by one of the world's top interior designers, Anouska Hempel. 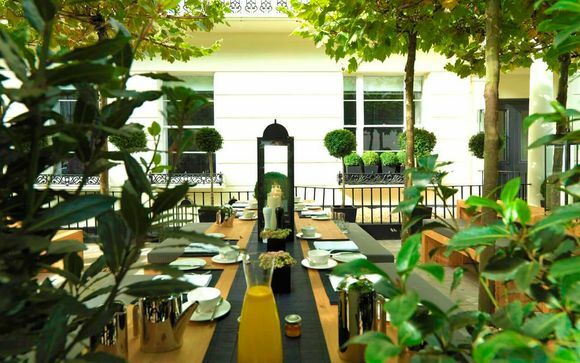 The four-star hotel is perfectly positioned on a quiet tree-lined street on the edge of London's magnificent Hyde Park, opposite Bayswater tube station. Our members will be accommodated in an Upgraded Junior Suite, with a complimentary continental breakfast provided each morning of their stay! This offer has been hand-picked as one of our special Easter offers - it's an ideal holiday for the whole family to enjoy! For any trip to the big smoke, you cannot do any better than staying in a sought-after central location. 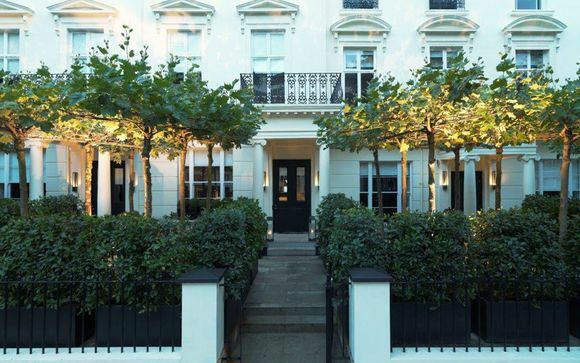 Set on a quiet street on the edge of Hyde Park, the four-star La Suite West perfectly places you and your family in the heart of the city, so you can all explore places such as the West End, Paddington and Oxford Street with ease. 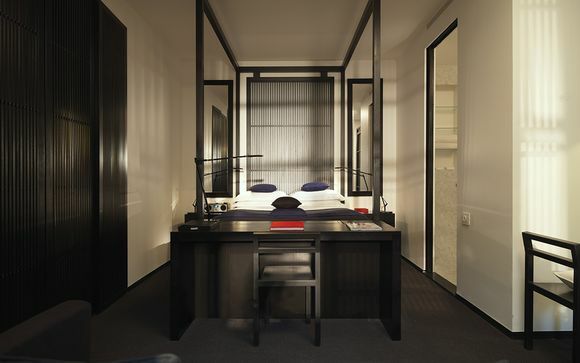 This four-star hotel is a strikingly minimalist, boutique property designed by one of the world's top interior designers, Anouska Hempel. This offer is based on a stay in an Upgraded Junior Suite. These Junior Suites are the most spacious rooms within the hotel, with a large sofa and dining table area; dark, individually crafted, four-poster beds and black rubber chairs. All have large marble bathrooms, complete with heated floors, and either a full shower or bath and shower combination. Swaths of black and white follow guests inside each room, where the design incorporates an infusion of Asian details, such as the thick, black, wood shutters in each room, adding depth and a touch of Zen to the hotel’s design. Junior Suites range in size from 20 square metres to 28 square metres. This offer is based on a Continental Bed and Breakfast stay. Breakfast is not to be missed with a more traditional offering and a combination of hassle-free choices. The a la carte menu offers a choice of healthy options for a lighter start. Located within walking distance of Notting Hill, Portobello Market, Marble Arch and Hyde Park, the hotel's Café Forty One offers a unique vegan dining experience showcasing delicious and inspired vegan cuisine that defies the stereotypes surrounding plant-based food. A crossroad between fine dining and a café style ambience, here, the menu focuses on seasonal, healthy, fresh and sustainable ingredients for breakfast, lunch, all-day desserts and afternoon tea. At the heart of the café are contemporary vegan alternatives to French pâtisserie favourites. For the latest travel advice from the Foreign & Commonwealth Office including security and local laws, plus passport, health and visa information click here. 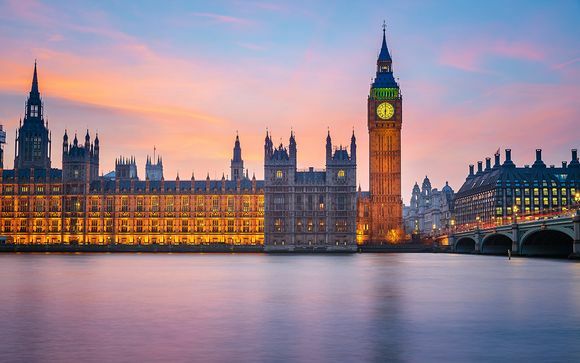 If you are travelling to the EU after 29 March 2019, the UK government recommends that you have six months left on your passport on the date of your arrival to an EU country. You should also check when your passport was renewed. If your passport does not meet the criteria for third-country nationals, you may be denied entry to any of the Schengen area countries. Please visit https://www.gov.uk/guidance/passport-rules-for-travel-to-europe-after-brexit for further information. The address of your property: 41-51 Inverness Terrace, London W2 3JN. Distance from Bayswater Underground Station to the La Suite West 4*: 300ft / 1-minute walk. This property is accessible to people with reduced mobility.